David Keays, PI. David graduated from the University of Queensland with bachelor degrees in Science and Law. He performed his masters thesis at the University of Melbourne on venomous cone snails, before embarking on a doctorate at the University of Oxford. During his tenure at Oxford David showed that mutations in the alpha tubulin gene TUBA1A cause neuronal migration defects in mice and humans. In 2008 he joined the Institute of Molecular Pathology, adding the cellular and molecular basis of magnetoreception to his research portfolio. David has received the Otto Loewi Prize in Neuroscience (2015), an ERC Grant (2013), the FWF START Prize (2013), an EMBO Young Investigator Award (2013), a Wellcome Trust Training Fellowship (2006), The Peter Beaconsfield Prize in Biosciences (2004), The Verne Chapman Young Investigator Award (2004), the Christopher Welch Scholarship (2002), and the Amgen Australian Award in Biotechnology (2000). David enjoys playing, chess, go, poker, squash, and is an aficionado of all things Sherlock Holmes. Pascal Malkemper, Post Doctoral Scientist. 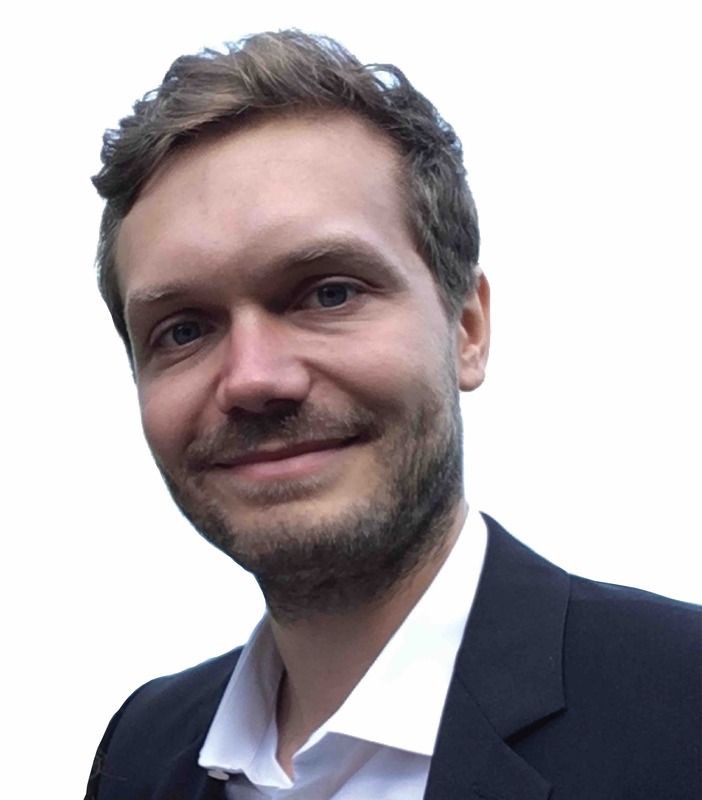 Pascal did his Masters in biology with focus on neuroscience at the Ruhr-University Bochum, Germany, working on genetic mouse models of Parkinson’s disease. During his doctoral studies which he performed under the supervision of Hynek Burda in Germany and the Czech Republic he worked on the sensory biology of the red fox. Pascal joined the Keays lab with the goal of localizing them by employing new tissue screening approaches. In his free time he enjoys running, soccer and music (drums). You can find Pascal’s interview with the Open Biology here. Thomas Cushion, Post Doctoral Scientist. Thomas graduated from the University of Bath with a bachelors degree in biochemistry. He performed his doctoral studies in his hometown of Swansea, Wales, investigating tubulin gene mutations and their roles in malformations of cortical development (See Cushion et al., 2013 & 2014). 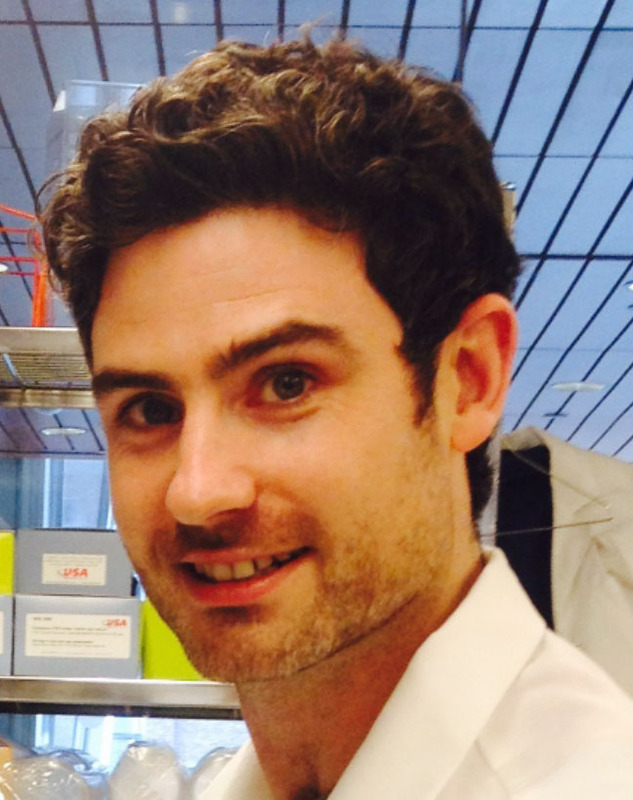 Following postdoc positions in Cornell and Cardiff Universities, he secured a Marie Curie fellowship to join the Keays lab and further investigate the tubulinopathies using cerebral organoid ‘minibrains’. In his spare time, Tom enjoys travelling, playing the guitar and attempting to stay fit. Like Dave, Tom’s passions include the tubulins, dad jokes and, at some point in the distant future, potentially magnetoreception. Maritina Sergaki, Post Doctoral Scientist. Maritina graduated from the Aristotle University of Thessaloniki in Greece with a bachelors degree in biochemistry. During her PhD at the Hellenic Pasteur Institute Maritina she studied the role of Cend1 during cerebellar development. She continued her research on cerebellar development during her postdoctoral studies in the laboratory of Prof. Carlos Ibanez at the Karolinska Institute where she focused on the GDNF receptor signaling pathway. Maritina joined the Keays lab in February 2017 shifting her attention to various genes involved in human migration disorders. She likes travelling, music, dancing, cooking and spending time with friends. Ines Leca, PhD Student. Ines graduated with a bachelors degree in Biological Engineering from the University of Lisbon and performed her master thesis in Cambridge under the supervision of Fanni Gergely. In Cambridge she employed the CRISPR/Cas system to study TACC3, a centrosomal protein known to be involved in mitotic spindle stabilization. Ines joined the Keays lab in 2015, with the goal of gaining further insight into the molecular mechanisms that cause tubulinopathies. In her free time she enjoys reading, hiking, and geocaching. Simon Nimpf, PhD student. Simon undertook his bachelor thesis in the lab of Michael Jantsch at the University of Vienna where he investigated the regulation of Drosha activity in Xenopus laevis oocytes. He undertook a master’s program in “Molecular Biology” at the University of Vienna, joining the Keays lab in March of 2014. 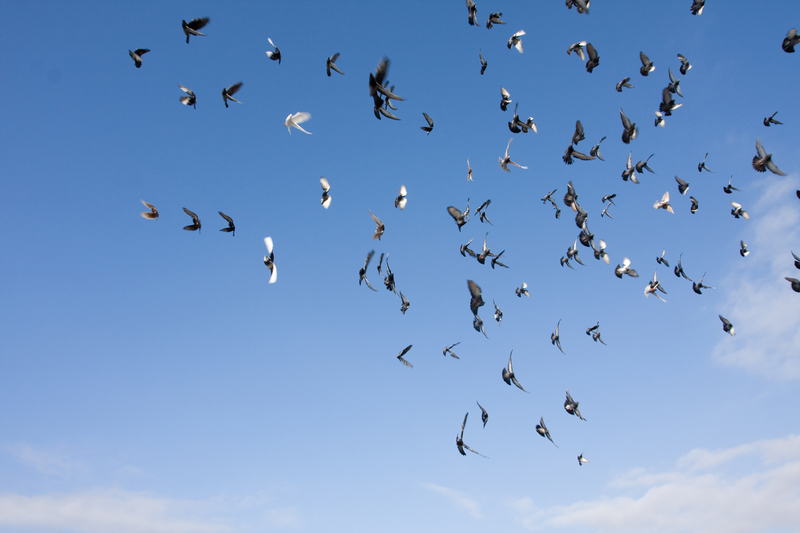 Simon’s work is focused on the cellular basis of magnetoreception in pigeons. In his free time he enjoys basketball, table tennis, traveling and music. Simon is supported by the prestigious DOC Fellowship from the Austrian Academy of Sciences. Gregory Nordmann, PhD Student. Grégory studied biology and neuroscience at the University of Regensburg, Germany. He performed his master thesis in the lab of Christian Wetzel, where he explored biophysical properties of TRPV1 ion channels and their role in nociception. His interest in sensory neuroscience drove him to join the Keays lab in November 2015. Greg is investigating the involvement of the auditory system in magnetoreception and exploiting the power of light sheet microscopy for whole brain imaging. In his free time, Greg works as a pianist, enjoys composing and singing, and sports. Lukas Landler, Research Scientist. Lukas did his diploma in Zoology at the University of Vienna studying the magnetic compass of toads (see Landler & Gollmann Front. Zool. 2011). He performed his doctoral studies at Virginia Tech under the supervision of John B. Phillips on the spontaneous orientation responses of turtles, crayfish and woodpeckers (see Landler et al. Acta Ornith. 2014, Landler et al. Plos one 2015). He graduated in Spring 2015 and joined the Keays Lab, with the goal of exploring magnetoreception in existing model systems. In his spare time he enjoys hiking and music. Daniel Kagerbauer, Resident Physicist. Daniel did his undergraduate degree in physics at the Technical University of Vienna. His masters thesis, which was a joint project between the Keays and Eisterer Labs (Atomic Insitute), focused on the magnetic characterisation of biological samples. Daniel has continued in the Keays lab as the resident “magnetic consultant” advising and guiding our experiments based on theoretical calculations. In his free time time Daniel enjoys running marathons (0.5), karate, and ballrom dancing. Lyubov Ushakova, Technician. Lyubov did her undergraduate studies in Microbial Genetics at Kazan State University. In 2011 she moved to Vienna and worked in the Rumpel Lab as a Research Technician where her worked focused on the auditory cortex (See Bathellier et al, Neuron 2012). In 2012 Lyubov joined the Keays lab where she is responsible for histological and behavioural phenotyping. In her free time Lyubov enjoys designing and making necklaces from glass beads and natural stones. Andrea Wenninger, Lab Manager. Andrea finished her education as biological technical assistant in Landau, Germany. In 2011 she joined the “Ex vivo Model” group at the DZNE Munich, working on primary neuronal cells and established a slice culture model for neurodegenerative diseases. She joined the Keays group in 2017, and is responsible for lab management. In her free time she enjoys running, biking and travelling. Dante Vazquez, Research Assistant and Resident Biochemist. Dante hails from Puerto Rico where he performed backyard chemistry and worked in a funeral home. He undertook his masters in Biochemistry at the University of Tübingen where he worked on protein evolution and folding mechanisms in the Höcker Lab. He conducted his thesis project at the Weizmann Institute of Science where he performed biophysical characterization of protein models that may have played a role in the origin of life. 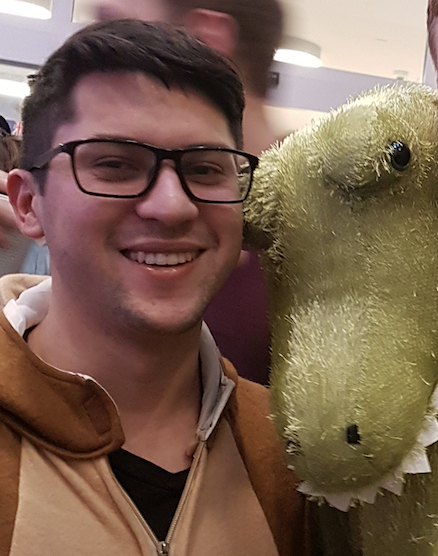 Dante joined the Keays lab in 2017 and works on the molecular basis of magnetoreception. In his free time he enjoys reading, dancing and travelling. Fernanda Reza, Masters Student. Fernanda graduated from the National Autonomous University of Mexico with a bachelors degree in Genomic Sciences. She undertook her bachelor thesis in the lab of Johannes Gräff at the École Polytechnique Fédérale de Lausanne where she investigated the effect of prenatal stress on the onset of Alzheimer’s disease. She joined the Keays lab in 2017 for her masters thesis, focusing on genes involved in brain developmental disorders. 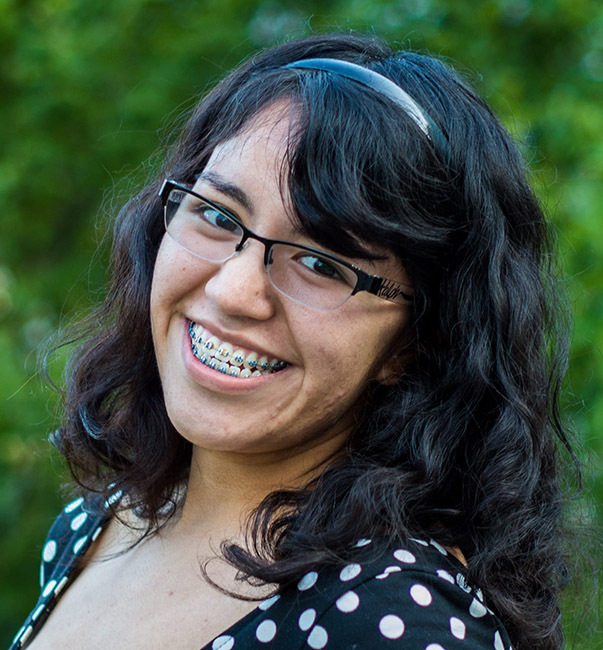 In her free time, Fernanda enjoys singing, hiking, folding origami and reading sci-fi. Fernanda is the coolest person in the Keays lab. 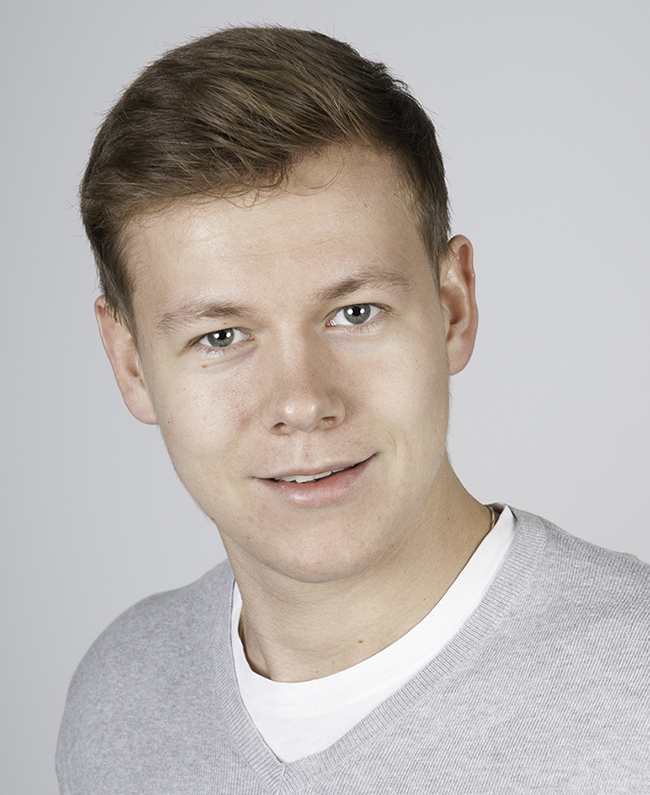 Florian Walter, Undergraduate Trainee. Florian is a bachelor student in biomedicine and biotechnology at the Veterinary University of Vienna. He joined the Keays lab to gather better insights into Neuroscience by understanding how magnetoreception works. In his free time Florian is a passionate skier and likes doing other sports.